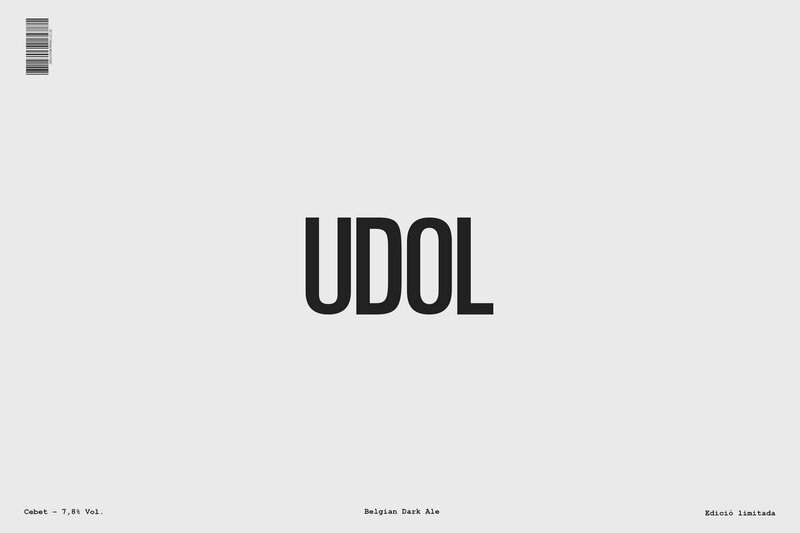 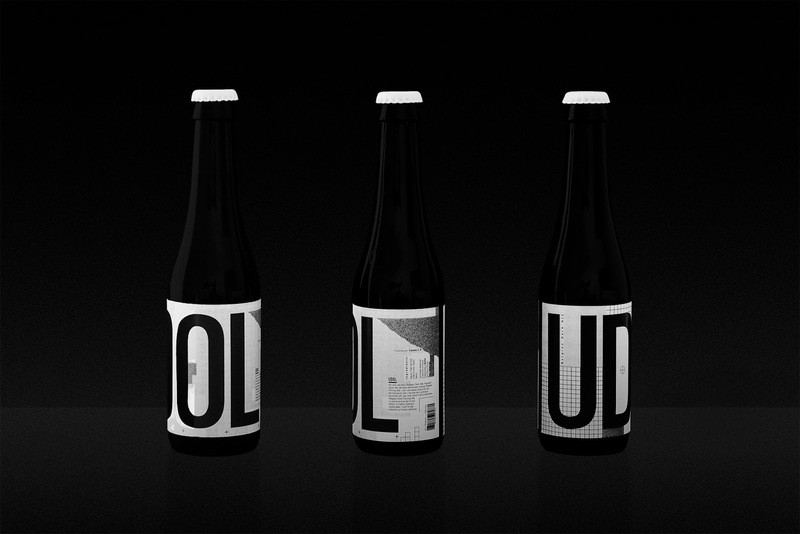 UDOL ('howl', in Catalan) is a Belgian Dark Ale beer crafted in Betxí (Castelló, Valencian Country). 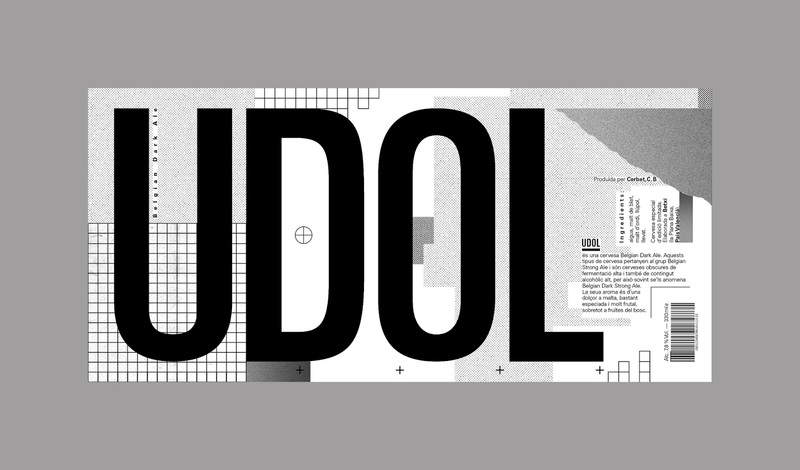 In the conceptual stage, New Wave—or also Swiss Punk Typogaphy—and designers as Wolfgang Weingart were taken as main inspiration in order to create a sober yet strong brand concept and identity. 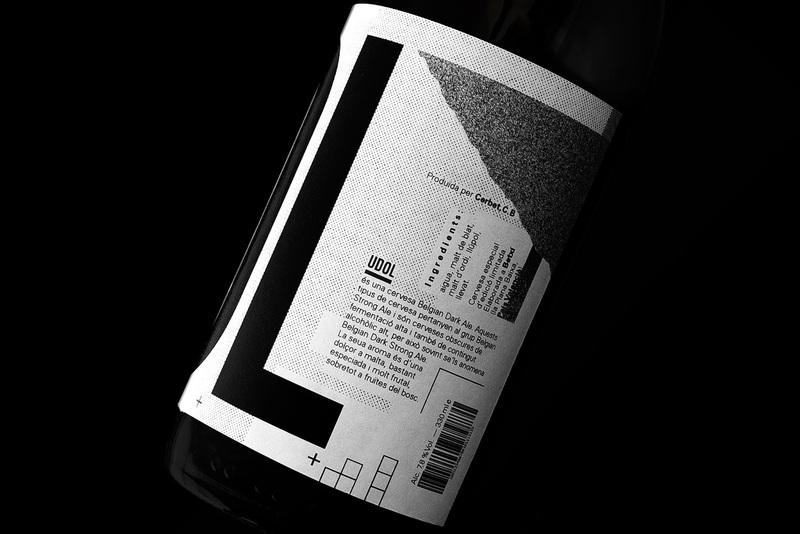 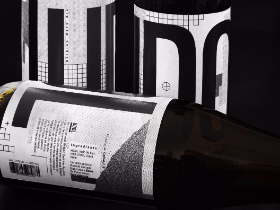 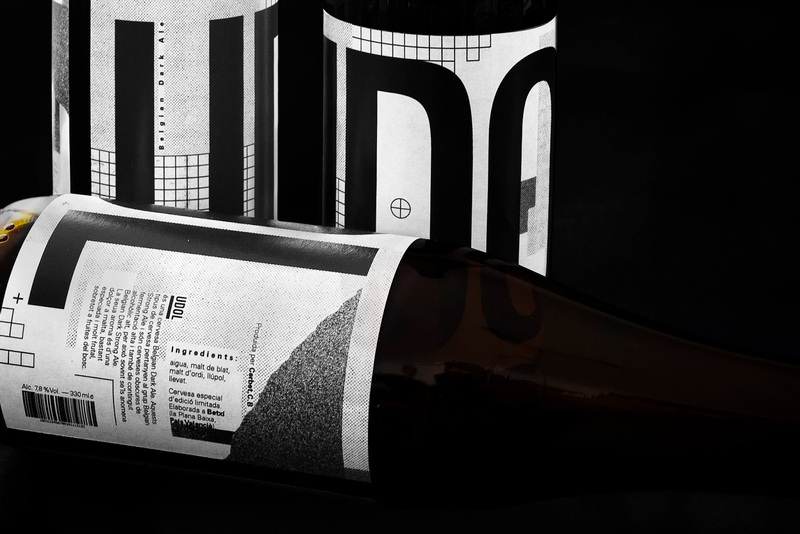 Meaning to approach a young, culture-focused target, the company's identity, labels and other elements were designed on the basis of a sober yet powerful layout, as opposed of most current breweries, which go for a more minimal and simple approach. 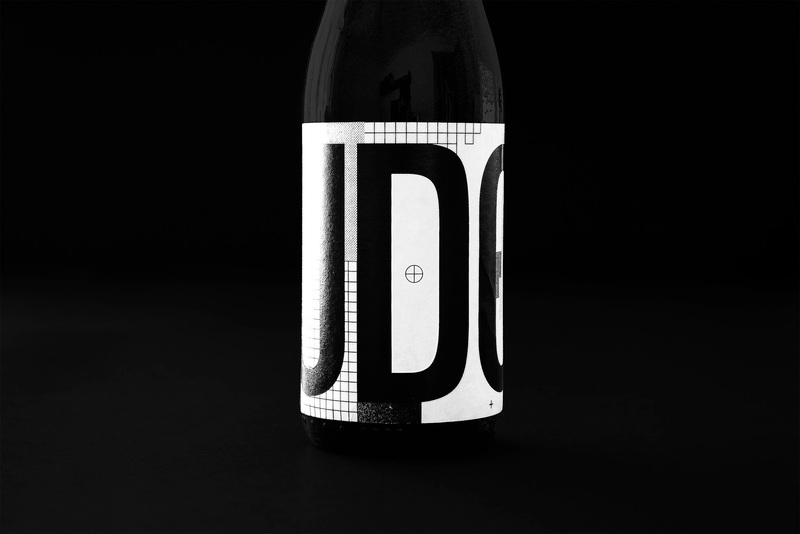 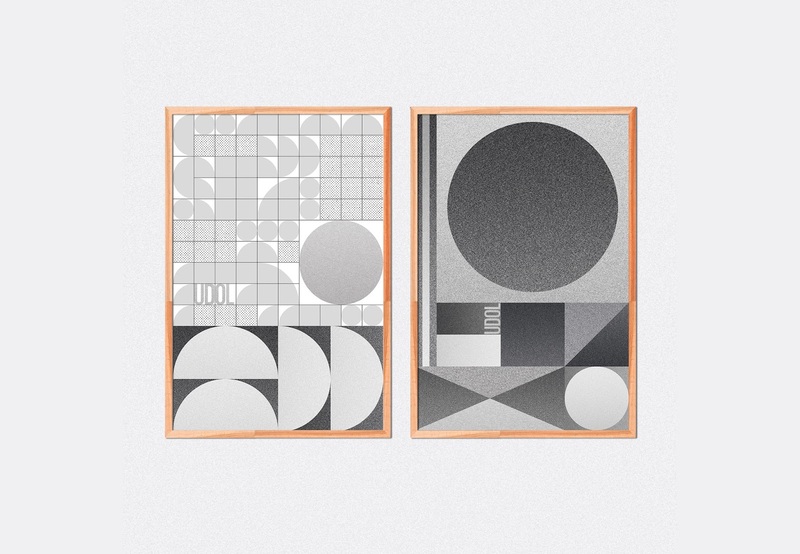 This packaging stands out from the rest thanks to its typographic and texture-based approach.